For 20 years attorney Monica Gilroy pushed us to keep the rental agreement short (like eight pages) because long documents are hard to defend in court. Some managers think they should have a 10-page lease (type size 8 to fit it all in) plus attach the application and exhibits, addendums, and incorporate the tenant handbook, the move in inspection and company policies into the original document making defending it quite impossible. There are, however, some critical topics we need to address in detail to set expectations and protect yourself from tenant-driven lawsuits. These stand alone (Housekeeping) documents should be included with all leases to explain HOW you’re going to manage specific situations. Occasionally the home has special characteristics like a hot tub, an HOA community, roommates, or a co-signer and you’ll want a special document (Ancillary Documents) to address these unique situations as needed. The documents and training videos on this site are the result of a 20 year collaboration between national trainer Robert Locke RMP, MPM and trial attorney Monica Gilory as Crown Management navigated it’s way through the legal challenges of managing thousands of rentals in Atlanta. Monica’s expertise in real estate litigation (especially landlord/tenant and fair housing disputes) uniquely equips her to write all the lease documents you’ll need to operate safely and profitably in property management. This lease is the result of experiences we have had with 9,000+ tenants over the last 35 years managing for over 3,000 owners including private landlords, equity groups and government agencies. This is the rental agreement we used for the past 10 years (with yearly tweaks and revisions by Monica) and were moving in 40 to 50 tenants a month. Once you get your customized management agreement in place, this is the next place to focus. We have spent tens of thousands of dollars with our law firm on this document over the years and continue to tweak, polish, refine and adapt it to protect managers from litigation and make them money. You can get a lease anywhere but not one from a manager with 35 years of professional landlord experience and a landlord/tenant litigator with years of experience solving managers disputes with wiley tenants and owners. You can learn this yourself over the next 20 to 30 years or have it today by downloading this document. A sample Lease completely filled in so you see what it should look like when you’re done. 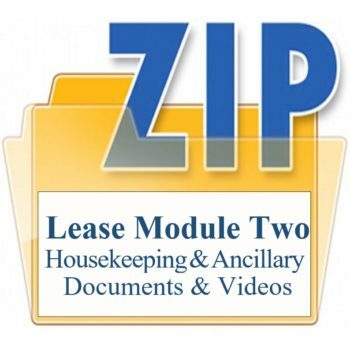 30 studio-shot training videos (6 to 10 minutes each) covering every detail of the lease agreement. View library of videos. This makes great training for your staff so you’re not doing it all yourself. Two one-hour consulting sessions with Robert going over your final document and answering all your questions. You can request these as you’re going through the document/videos or as you finish it. A one hour consulting session with attorney Monica Gilroy who wrote (and continues to revise) these documents. You’re not alone in this effort. Our mission is to help you customize this document (or help you tweak yours) to work in your model and in full compliance with your state laws. We’ll collaborate with you to make sure it’s exactly what you need to be scalable and profitable in your market. We’ll read your state landlord/tenant laws and make sure you’re in full compliance. 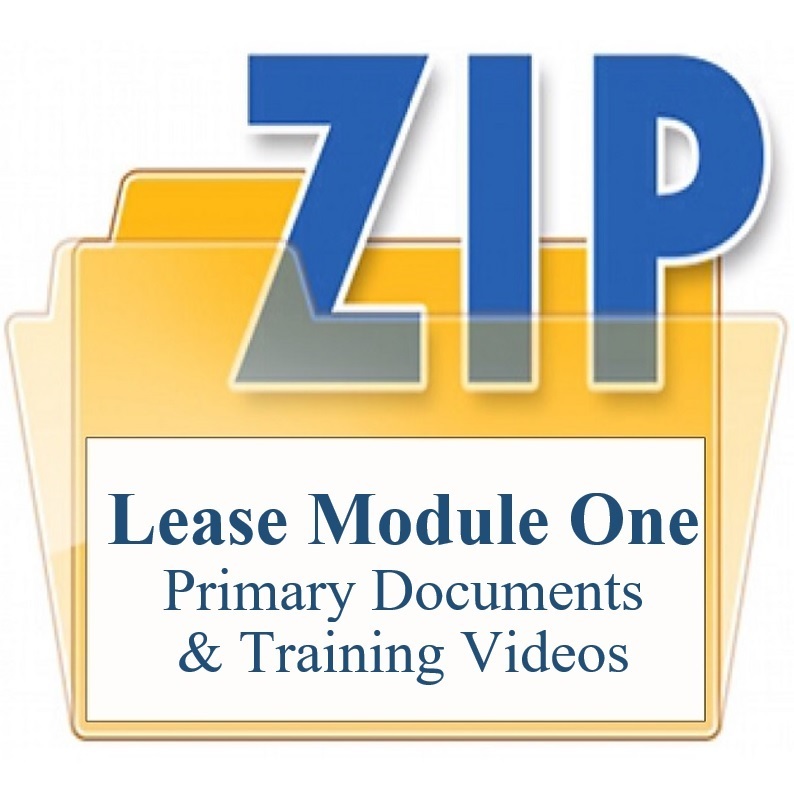 Lease Module #1 The Customized Rental Agreement $1,495.00. Think of this as what you might earn leasing two properties. Clients tell us they make up this cost in the first month or two of use because of the revenue streams they discover in the training. Literally this will MAKE YOU MONEY … NOT COST YOU MONEY.